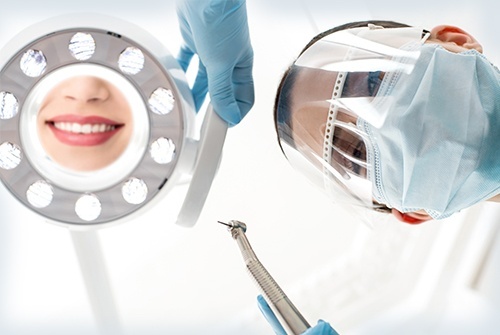 With A & S Dental Group, you are guaranteed to receive excellent dental care at all times. In addition, we make sure to maintain a comfortable environment so that you will feel at ease whenever you visit. Choose us as your preferred dental practice in Brandon, FL. Make an appointment today, and read the information below to know what to expect upon your visit. We request patients to book appointments 24 hours ahead of time. On your first visit, our staff will greet you, provide you with new patient paperwork that includes a health questionnaire, as well as request your insurance and contact information. Privacy policies and other important information will also be discussed with you. Initial dental examination usually takes an hour. Our staff will ask about your health concerns and dental hygiene. We will also inform you about the proper ways to take care of your teeth. Once the examination is complete, our dentist will provide recommendations for treatments. We do our best to lessen whatever discomfort or pain you may be feeling because of your dental problem. Dr. Cervantes will create a dental care plan that is tailored to your needs to help minimize your pain. Our dental practice accepts a variety of insurance providers. If by chance your insurance does not cover all of your treatments, we can help you find a payment option that works best for you. You are assured of receiving quality services at budget-friendly rates. Are you having dental problems? Consult a dentist right away. Make an appointment with Dr. Cervantes at A & S Dental Group. For more information about our dental care solutions, policies, and requirements, feel free to get in touch with us today. We are more than happy to help you with your inquiries.